Head to The Brew and Barbeque in Marathahalli, with lots of offers, MRP Mondays and a soon-to-be-introduced offer that gives you loads of freebies depending on your name! 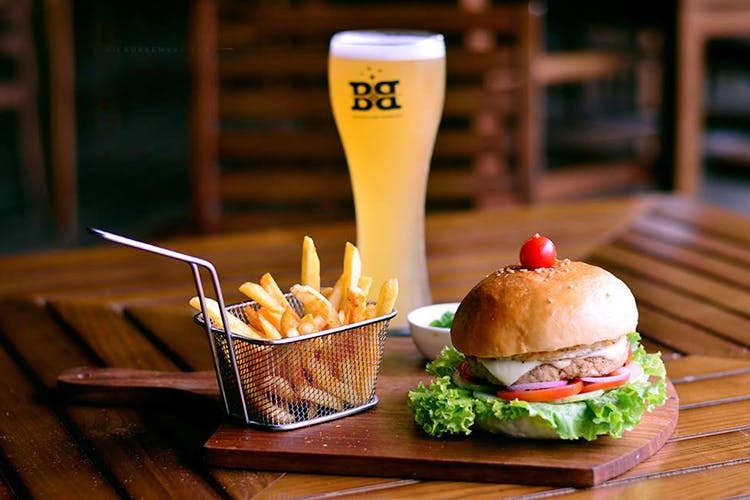 The Brew And Barbeque in Soul Space Arena, Outer Ring Road has a load of offers that are tantalising and you’re not really compelled to only go here on a weekend. They have MRP Mondays, where you can get an entire bottle of alcohol at the MRP! Might not sound much, but it actually is a big price drop. They have happy hours from 12.30pm to 6pm every day, where you can buy two drinks and get one for free after. So, this sounds like a place to go chill after that hectic day in the office. They also have a craft beer menu, with a selection of four beers ranging from a wheat beer, a stout, a lager and an ale. Each of these beers is priced at INR 245 for a 500ml glass and INR 150 for a 250ml glass. For grub, there’s a selection of bar bites, pizzas and kebabs that pair well with the beer. This sounds like a new hang. Watch this space for more!